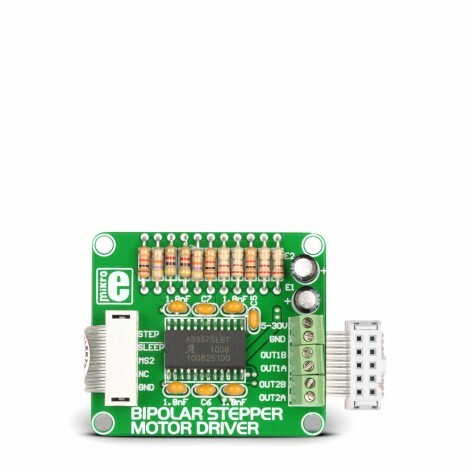 The Bipolar Stepper Motor Driver Board enables you to add stepper motor control to your applications. There is an on-board microstepping motor driver A3967SLB. The board supports Mixed, Fast and Slow Current-Decay Modes. 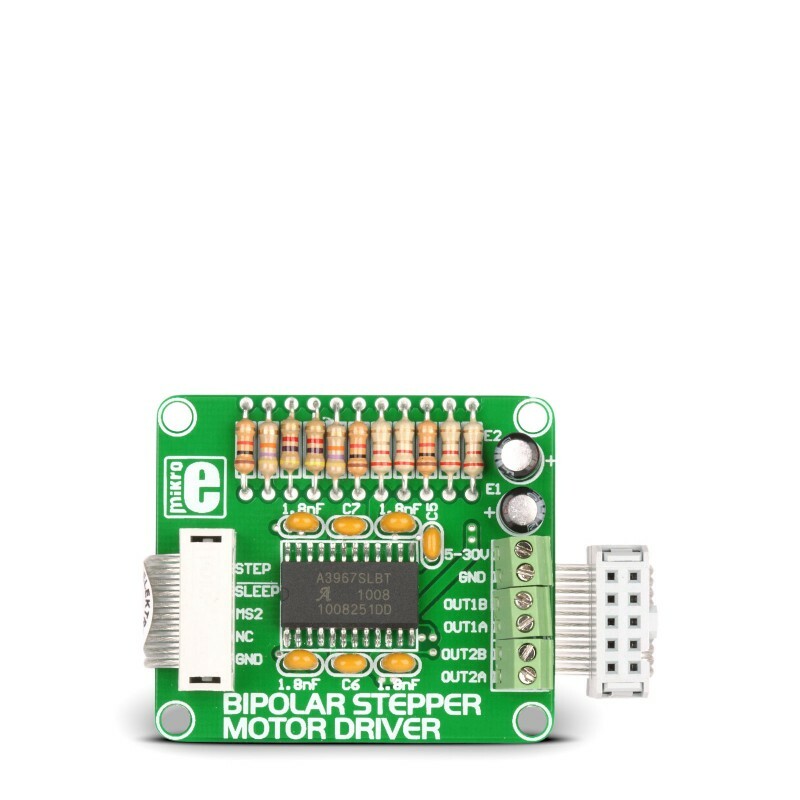 The Bipolar Stepper Motor Driver Board features a complete microstepping motor driver with a built-in translator A3967SLB. It is designed to operate bipolar stepper motors in full-, half-, quarter-, and eighth-step modes, with output drive capability of 30 V and 750 mA. The board includes a fixed off-time current regulator that has the ability to operate in slow, fast, or mixed current-decay mode. This current-decay control scheme results in reduced audible motor noise, increased step accuracy, and reduced power dissipation.